Being a Clear Lake Public Library card holder gives you access to millions of different sources of information. View the different sites below. New! Iowa Gale Pages is a full page link to a wide array of resources provided by Gale to Iowa residents. Research topics include: agriculture, auto repair, business, gardening, health, home improvement and much more. 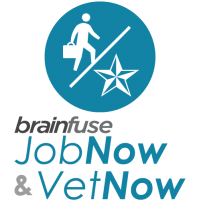 Brainfuse JobNow/VetNow is delivered via a web browser. Upon visiting the library customization site, you will be able to create an account and select among several service options. Once you select a service, the WebConnect online classroom launches. WebConnect allows tutors and patrons to communicate in live, online sessions. Access over 900 essays online on all aspects of cancer in Salem Health: Cancer, 2nd Edition. The essays address diseases, conditions, symptoms, cancer-related syndromes, chemotherapy and other drugs and drug classes, cancer centers, genetics, the biology of cancer, medical specialties, tests, procedures, complimentary and alternative therapies, lifestyles, healthy and preventive strategies, and the many social and personal issues surrounding cancer, from cancer’s impact on minority populations to personal finances, insurance, personal relationships, and emotional coping. New! Kids InfoBits is an online resource that contains educational content appropriate for elementary students in Kindergarten through 5th grade presented in an engaging visual interface. Iowa Area Education Agencies provide Iowa AEA Online, consisting of eight dynamic online resources, to all Iowa accredited schools. Students and staff have access at school and at home (Internet access required), 24 hours a day, seven days a week! These online resources support the content standards for school curriculum and student learning by bringing a wealth of information to teachers and students wherever they may be, with just the click of a mouse. Clear Lake Public Library cardholders have access to Ancestry.com/Library Edition. It is available for use at the library only. This database offers census records, public records, immigration information and other genealogical resources. Ancestry.com/Library Edition for Clear Lake Public Library users is sponsored by the Clear Lake Public Library Foundation. HeritageQuestOnline.com (HQO) Census records, public records, immigration information and other genealogical resources are available through HQO. HeritageQuestOnline.com for Clear Lake library users is sponsored by the Clear Lake Public Library Foundation. Click on logo to proceed to Heritage Quest Online’s website. A complete language-learning experience, Transparent Language Online, bridges the gap between learning a language and using that language in the real world by allowing users to do both – completely online and all in one program. Click on Logo to get started! Books & Authors offers new ways to explore the endless possibilities and combinations of books, authors, genres and topics. The ideal convergence of science and serendipity, this online resource leverages the Internet’s unique capacity to create, build, communicate and sustain communities of readers. With an up-to-date and configurable interface, and a unique Open Web component, Books & Authors offers patrons a powerful tool that promotes the discovery of literature, and where to find it in the library. Borrow free ebooks and audiobooks 24/7 with your library card. Bestselling audio books for desktops and mobile devices available for download! Popular magazines for desktops and mobile devices available for download!